Opaque, slightly murky garnet-to-brick hues in the glass. Aromas of black plum and black cherry on the nose. Palate is juicy and rich with plums, black cherries and black tea. Faint notes of smoke and herbs, medium-to-full bodied, excellent structure, weight and mouthfeel. Fruit was harvested and de-stemmed, crushed and placed in a cold soak for 1-3 days. Extended maceration and aged in oenotank. 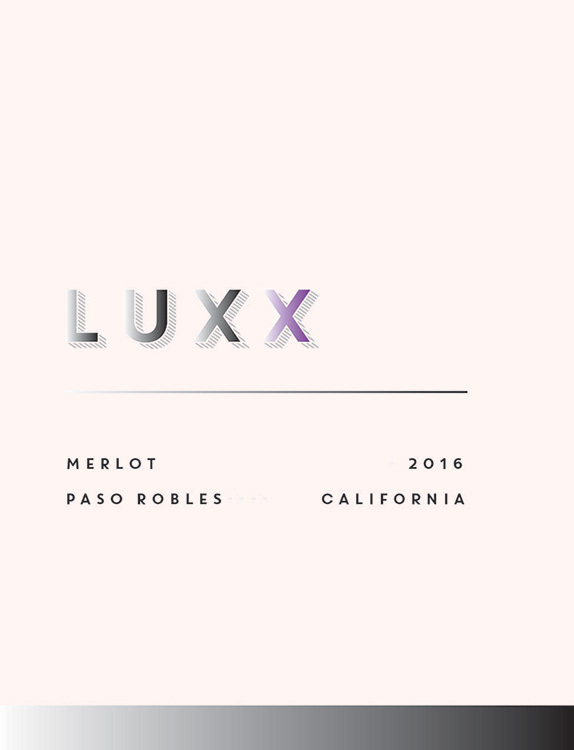 Our Luxx Merlot is a classic expression of the quality and richness one can expect out of Paso Robles these days, lip-smacking and plummy with notes of black tea and good structure. A Merlot that is worthy of the LUXX label. Are you celebrating a milestone like an engagement or a promotion? Luxx is the perfect match! This was a great merlot to share and experience the flavors! Great with grilled steaks. This is absolutely my favorite Merlot! Not too dry, but still a little oaky, and oh so smooth! Lip-smacking, berry delicious wine I highly recommend! Pairs well with Italian meats, smoked Gouda & chocolate!